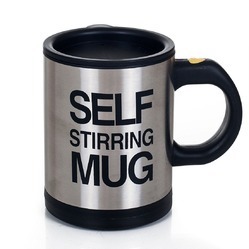 Our product range includes a wide range of self stirring mug and automatic lighting glass mug. Ideal Travel Mug - makes the perfect mug for travelling while sipping your morning coffee. 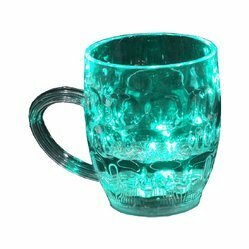 This eye catching LED multi color lighiting glass mug. A must for all get together / parties to bring that extra Zing of colors in your house. Auto color fading and flashing Water activated. It glows automatically when drinks are put in the mug and switches of automatically once the drink is finished. See who is the first to finish the drink and turn off all the LEDs. The battery is replaceable.